​Considering business creation via startup development phases and the founders venture from nothing to success, there are many different types of challenges they face and many type of support that can help avoid mistakes in their journey. ​Ecosystems are collaborative environments involving public and private support providers services, instruments and functions, where different support focus have also overlaps. As innovation continues to increasingly move away from closed iterative innovation models to more open and disruptive innovation by business creators within ecosystems - there is a significant growing need for entrepreneurial education and training for new talent, and support services for more open innovation and business creation. We can help you deploy support services best practises, develop new concepts and help avoid common pitfalls. With decades of experience in business creation by building startup to exists, creating innovations and developing support services, regulation, policies and funding instruments internationally - we understand business creators and how to support them. 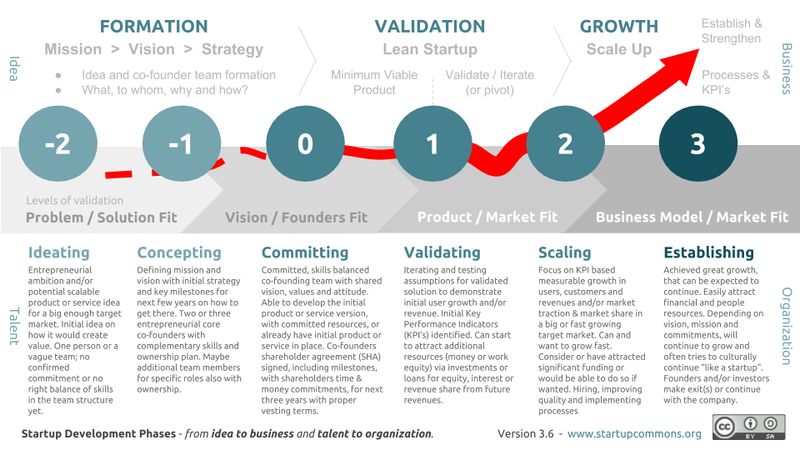 Startup Development Phases help understand startup journey, identify key stages and to help develop Startup from "idea to business" and from "entrepreneurial talents to organization". - Learn more about the framework. Formation - is about inspiring and providing access to key knowledge, to help build the right mindset, understanding and abilities for the journey ahead, typical issues to avoid or solve, what steps to take in what order and about available support along the way. 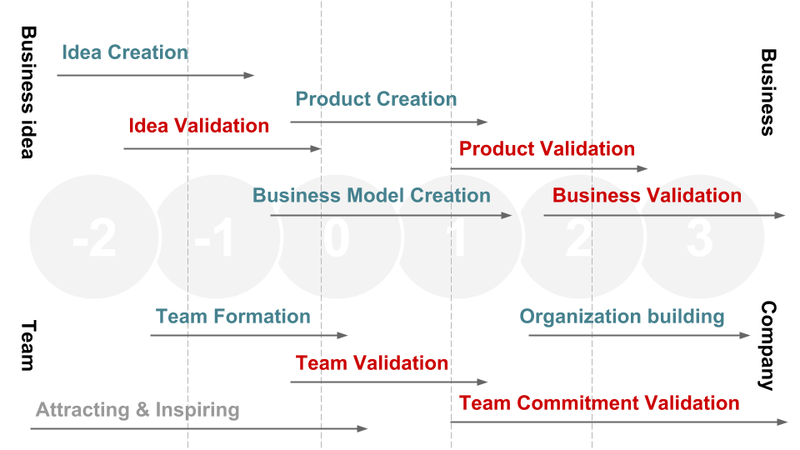 Validation - is where the support focus shift to initial product development, strengthening core team via mentoring or new team members, supporting team and product validation and customer development. Growth - is to focus is mostly about additional resourcing, growth KPI's, creating processes for scaling various business operations, improving financials and help expand business internationally. To support the team formation and further development for actual effective organization. 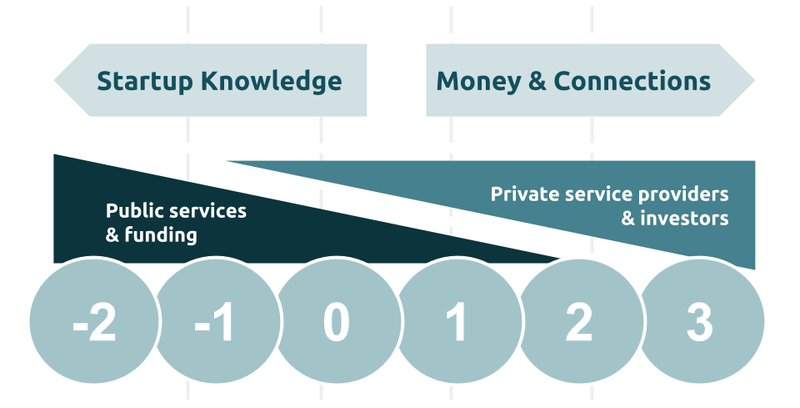 Below is a chart of some typical services and to what part of startup development those are most relevant, along with some ecosystem level focus areas in context to these services. ​The balance between public services or publicly funded support providers tend to focus in earlier phases, while private and for-profit type of service providers are focusing on later phases of the journey, where the business is starting to have more clarity, shape and ability to pay more for these services. Have questions or suggestion for this material? - ​Get in touch. We have composed this material to help all support providers and ecosystem developers; policy makers, economic development agencies, in their efforts in tackling local ecosystem development challenges. 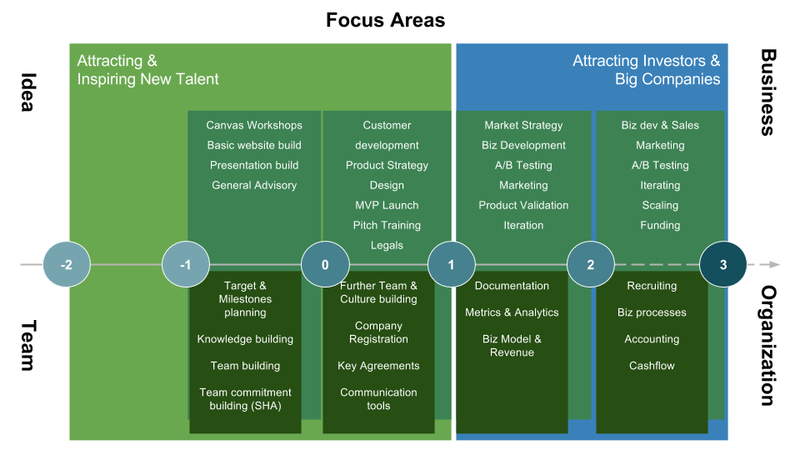 This is a summary snapshot of our more complete Startup Ecosystem development framework material. Get in touch for more complete material and consulting. Learn about available funding sources. Startup Commons help Support Providers to design good and fundable Support function deployment projects and can assist in implementing them in practise.